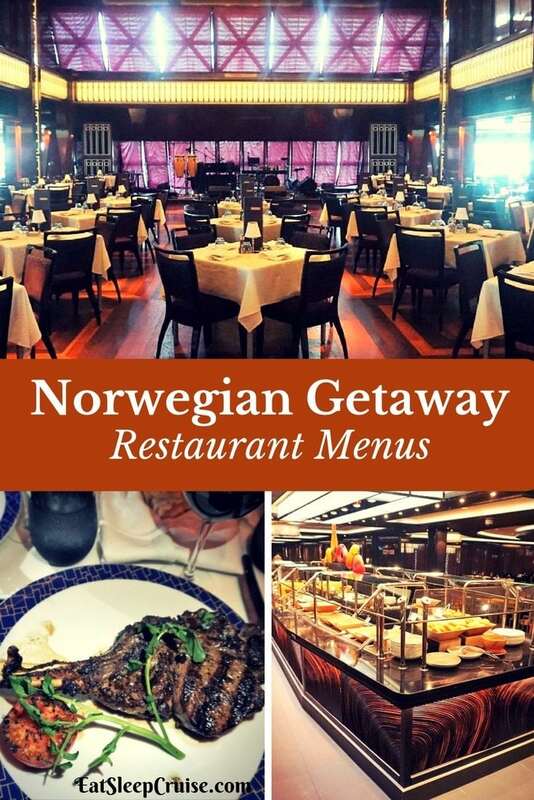 If you are looking for Norwegian Getaway restaurant menus, then you have come to the right place. 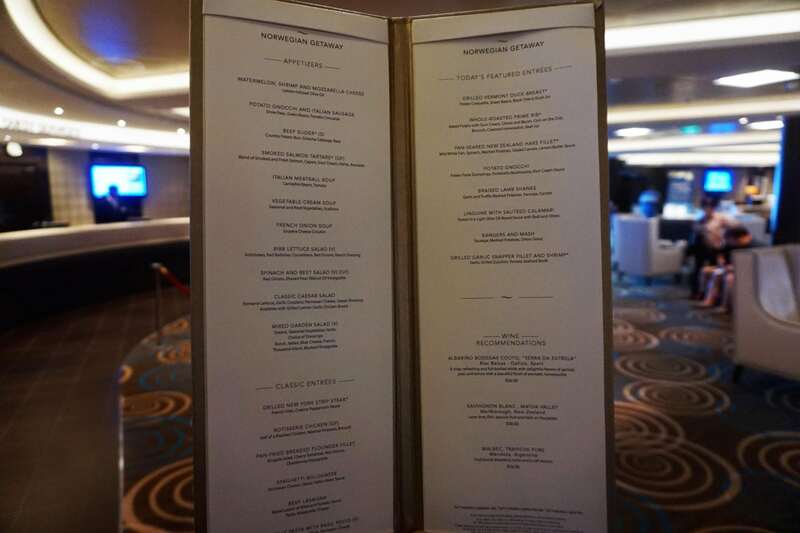 These menus are from a recent 2017 cruise onboard this Breakaway-class ship. We have links to each menu, which are loaded as JPG photo files. Feel free to browse or download them to help with your cruise planning. We just ask that if you do share these photos that you credit EatSleepCruise.com as the source. Of course, if you have any questions just email us, and we would be happy to help. 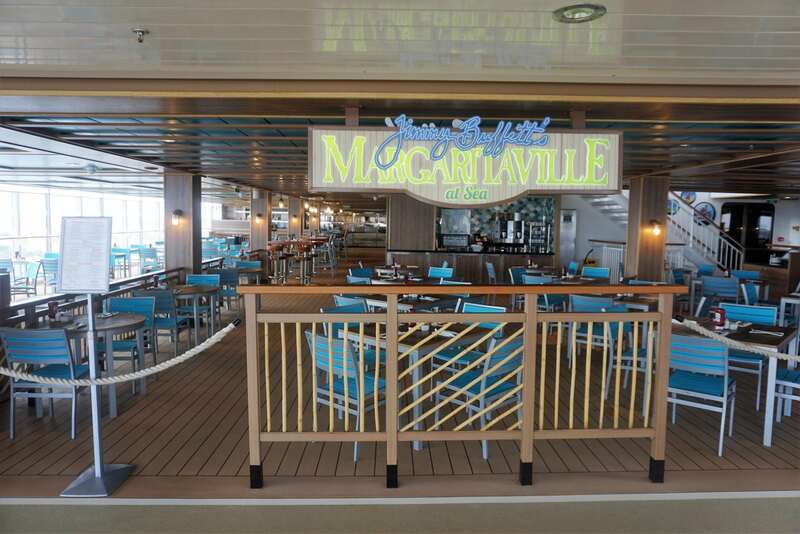 There are three main dining rooms on Norwegian Getaway: Savor, Taste, and The Tropicana Room. The Tropicana room is open only for dinner each night, whereas Savor and Taste are open for breakfast and lunch on sea days. 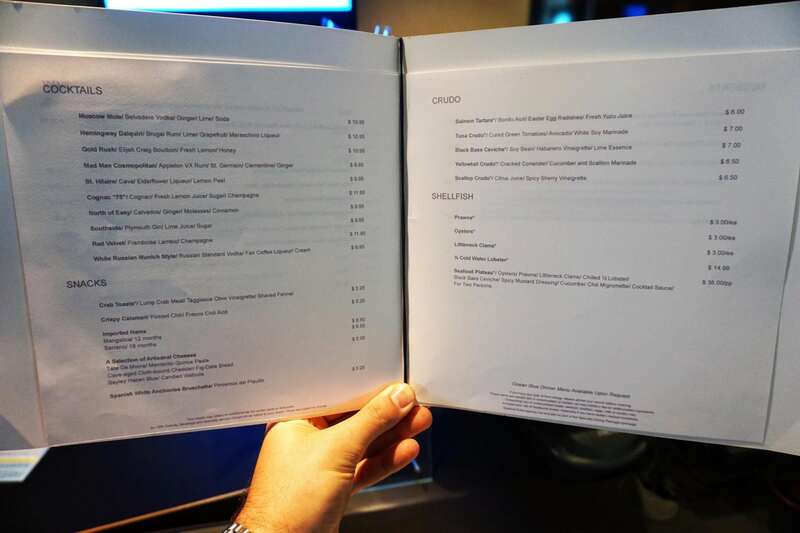 Every night, the menu changes at all three restaurants; however, all restaurants serve the same menu. 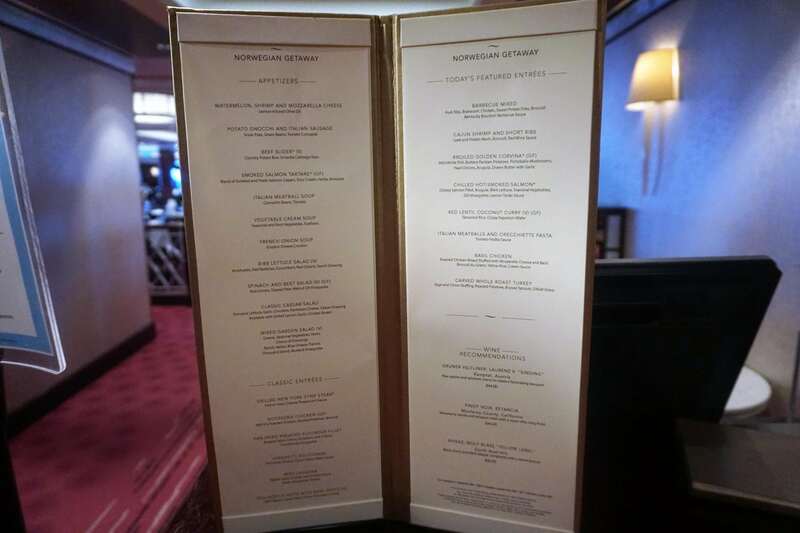 Each night, the menu features the same classic entrees in addition to featured entrees. 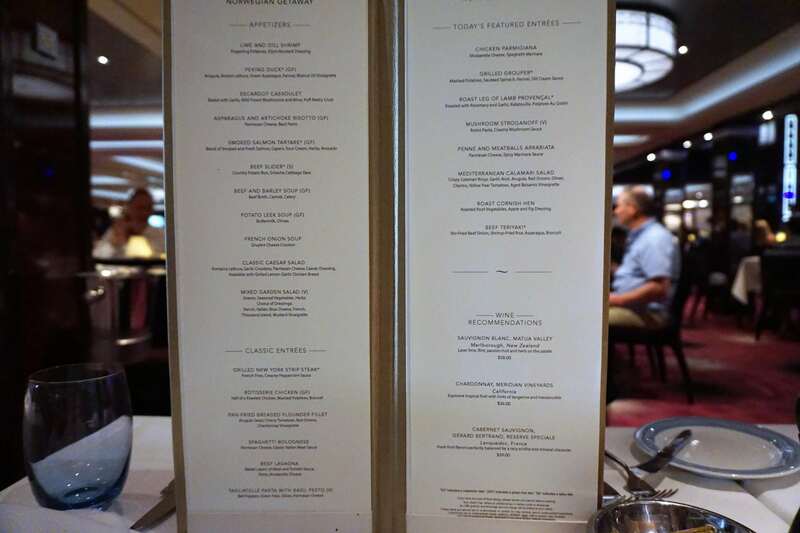 We only ate at the Tropicana Room one evening, as we dined in specialty restaurants on the other days of our cruise. 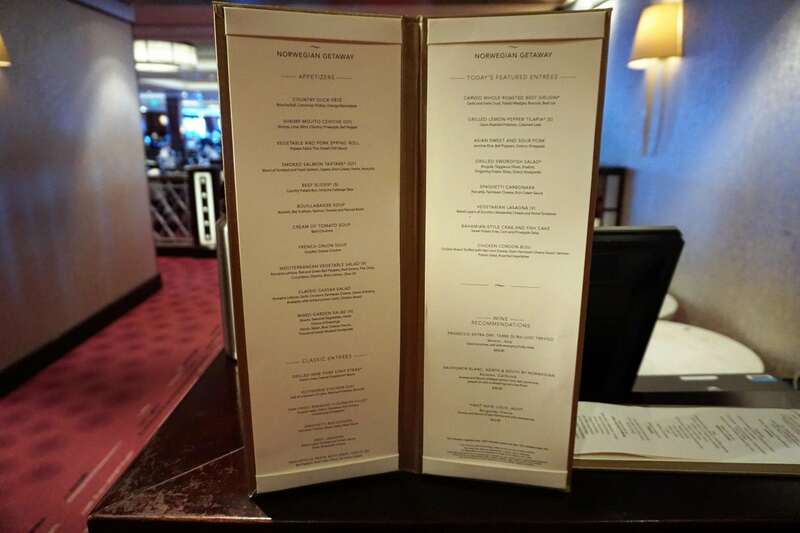 We managed to gather the menus for most days, except Day 3. This casual and complimentary restaurant is open 24 hours a day. 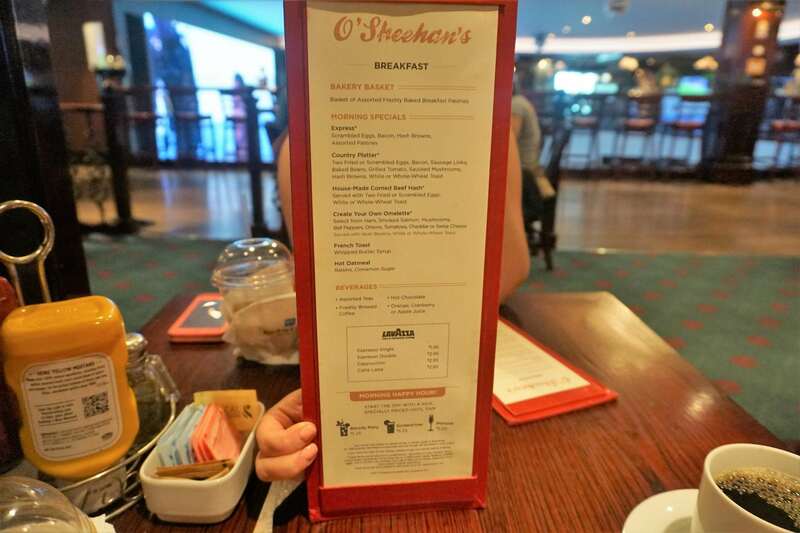 With a breakfast menu that features customized omelets, and a lunch and dinner menu featuring pub style food, along with some Irish favorites like Bangers and Mash, this restaurant is great for a quick bite to eat and drink. It does get busy, especially when there is entertainment in the Atrium, and no reservations are accepted. 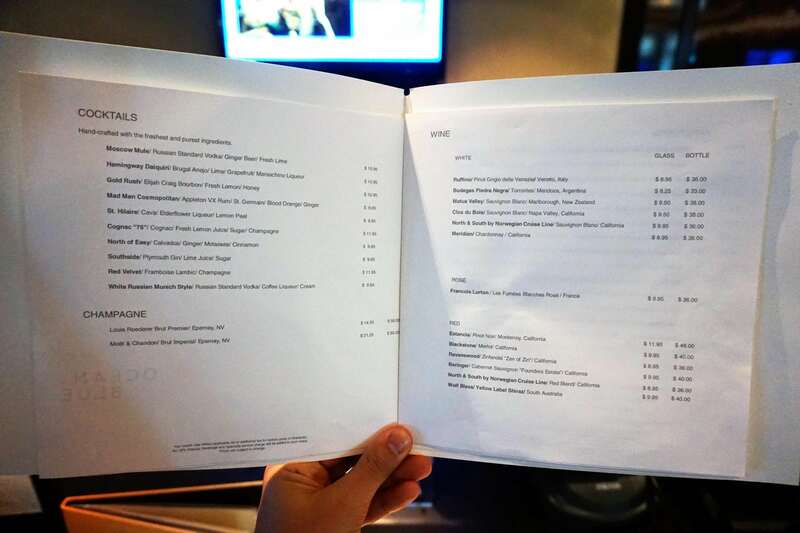 O’Sheehan’s also serves a limited “late night” menu. 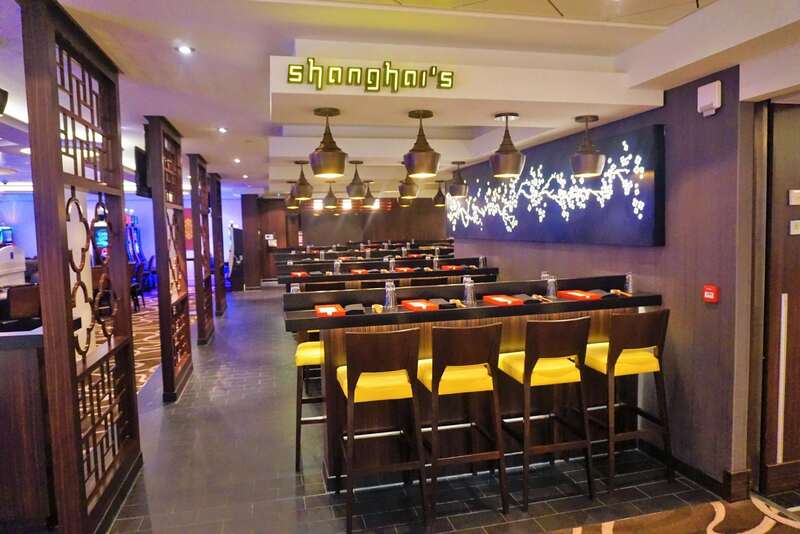 This complimentary restaurant is located on Deck 7, across from Bar 21 and the Casino, and is open for dinner every night starting at 5:30pm. 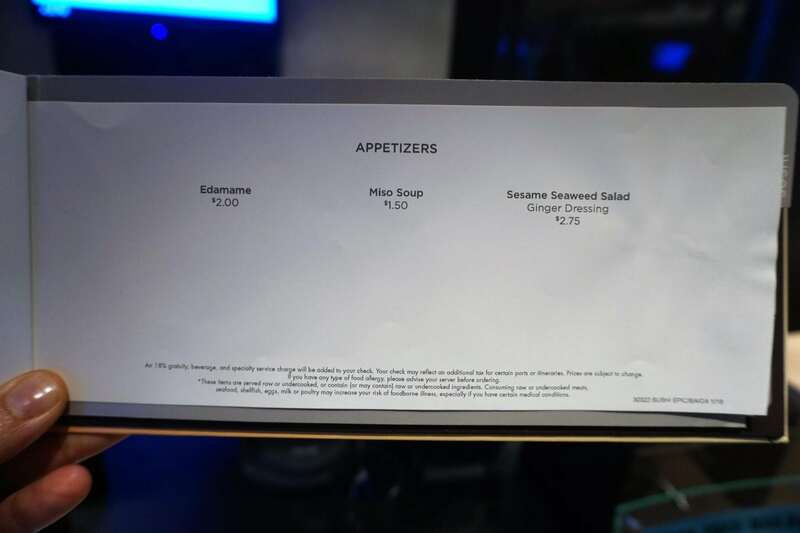 This Asian style noodle bar features items like spring rolls, dumplings, and Asian wok-inspired dishes and noodles. We dined here once and really enjoyed the casual atmosphere and tasty food. It seemed as though many cruisers came here just for appetizers before dinner. Do plan to arrive early, as the venue is small and wait times grow quickly. Again, no reservations are accepted here. Good thing for the drink package, as you can always grab a cocktail or two while you wait. 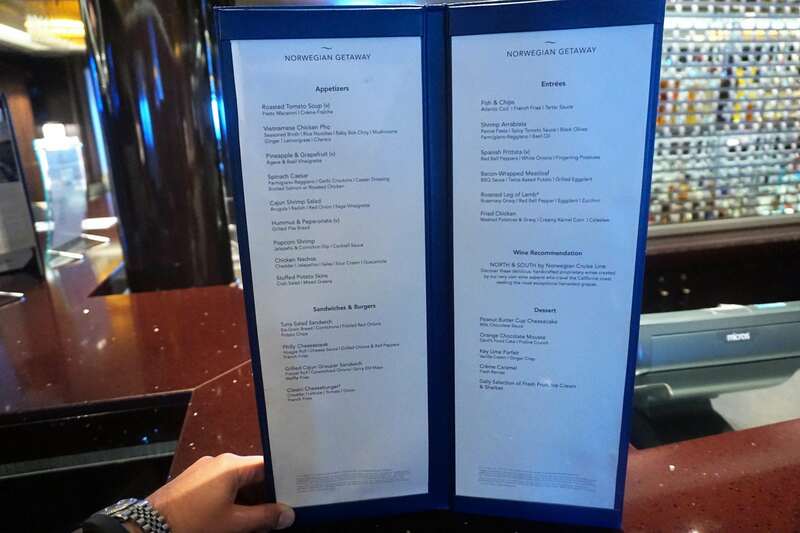 Each of the specialty restaurants on Norwegian Getaway has its own unique menu. 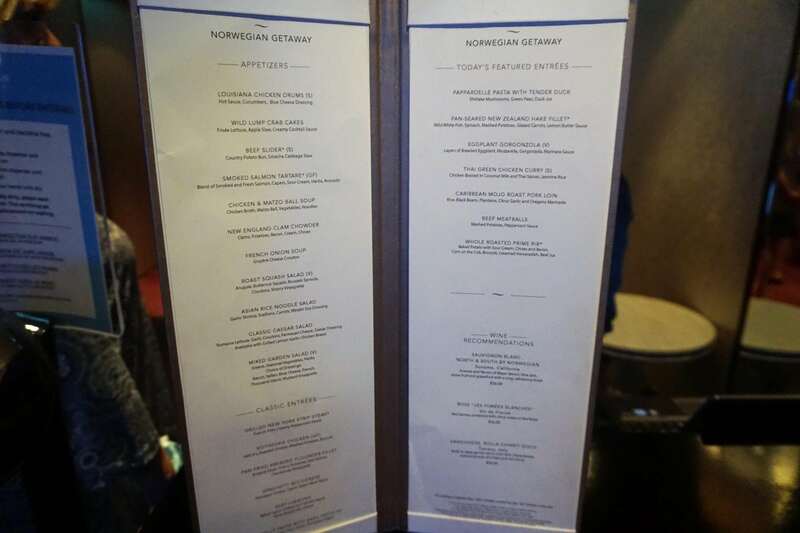 Most of the specialty restaurants on Norwegian Getaway are a la carte pricing with a few exceptions. 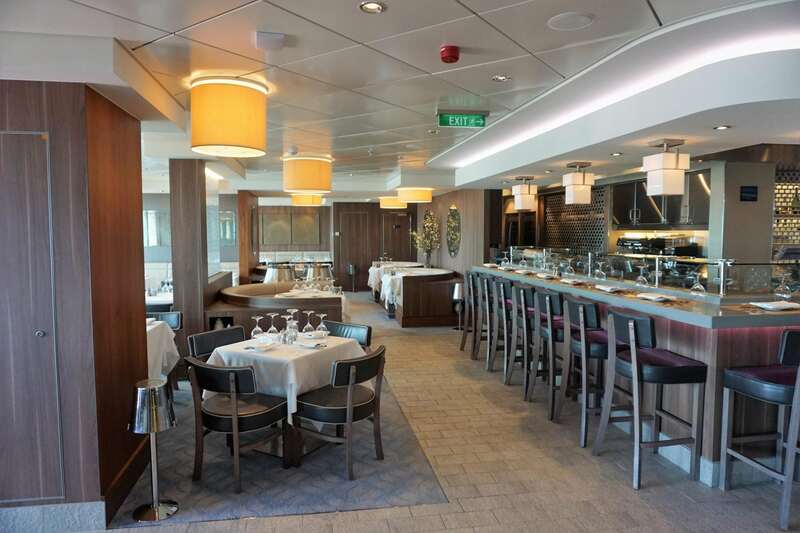 If you do plan on dining at a few of these specialty restaurants during your cruise, we recommend purchasing a specialty dining package. 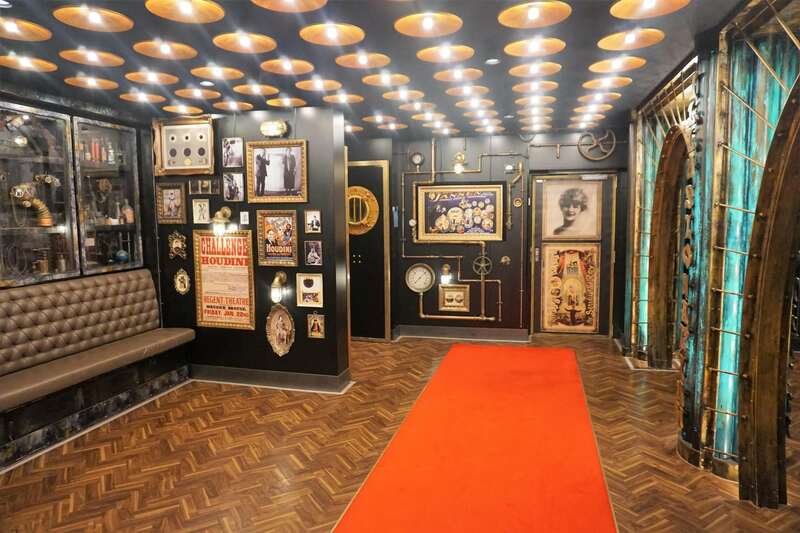 This dinner theater show features some spectacular magicians, illusionists, and mentalists. There is a flat fee for dinner and the show, which offers two types of seating options: floor ($34.95 per person) or banquet ($29.95 per person). 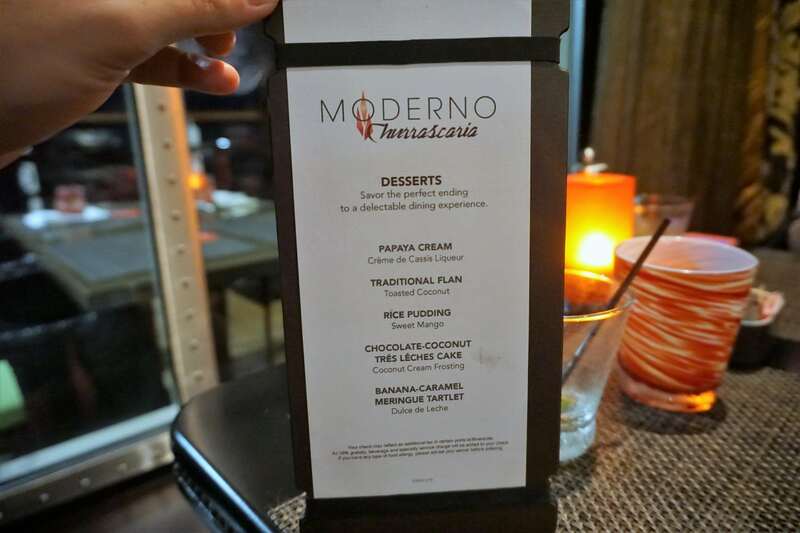 The dinner menu is a set 3 course meal with an appetizer, entree, and dessert trio. While the food is nothing to write home about, we do recommend seeing the show. A seafood focused restaurant, Ocean Blue is open for dinner every evening and also offers a unique counter service menu on sea days for lunch. If you are a lobster fan, do try the lobster roll for lunch. It comes DB approved. 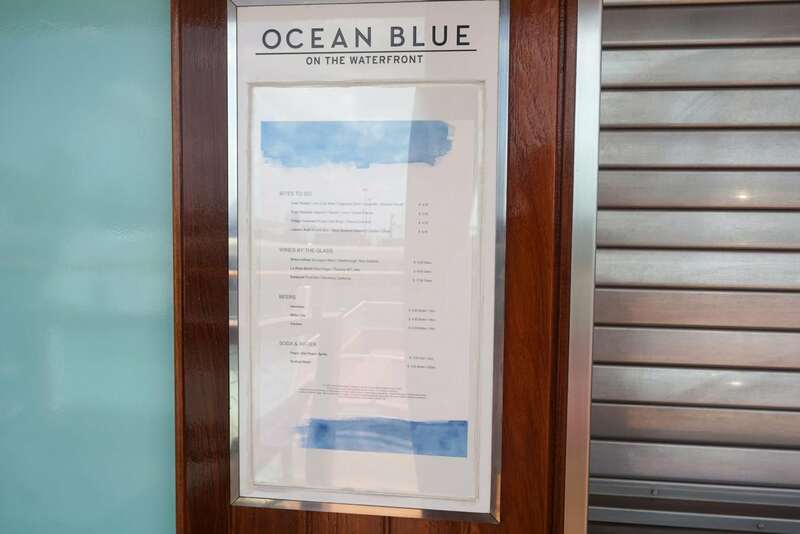 Lunch at Ocean Blue is not part of the dining plan, and there is an additional up-charge ($15) if you use your specialty dining plan for dinner. Located in front of Ocean Blue, the Raw Bar is open for some light seafood starters. 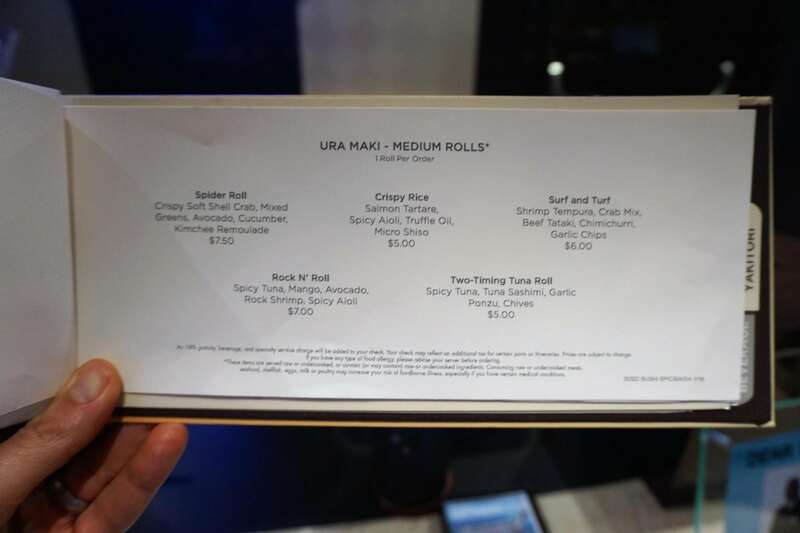 The menu is also available in Ocean Blue, but if you prefer just a few seafood delights in a more casual atmosphere, pull up a seat at the raw bar and grab a few pieces to share. The Raw Bar is open for dinner every evening and on select sea days for lunch. 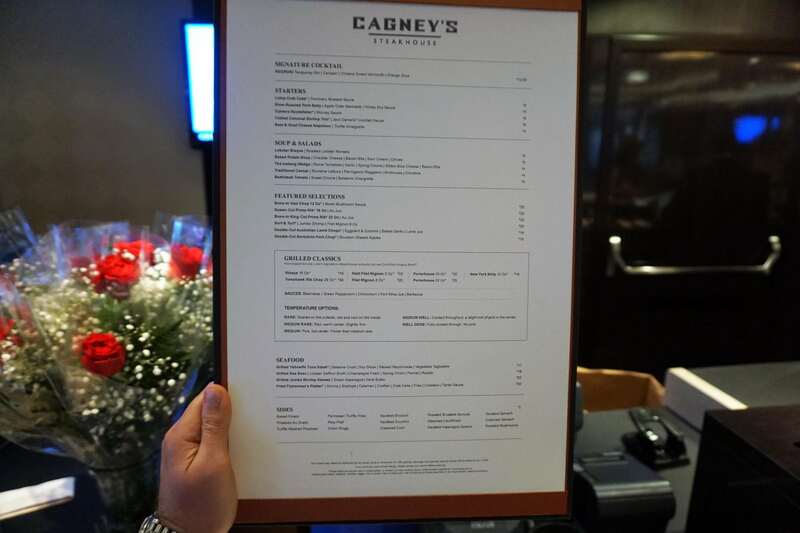 Note: if you use the specialty dining package, there will be an additional up-charge of $7, or you can choose to pay a la carte for your selections. 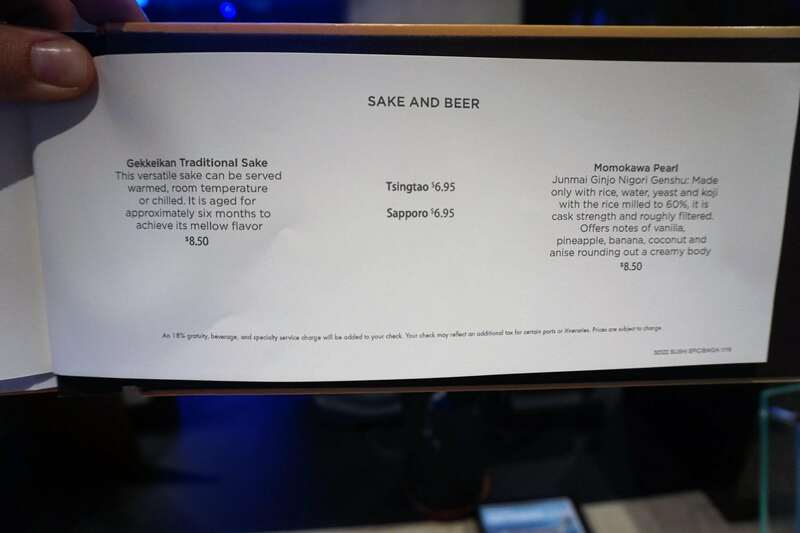 If you are a fan of sushi, then this bar top venue is your spot. Positioned right next to Ocean Blue, this venue is open for dinner every night and on some sea days for lunch. 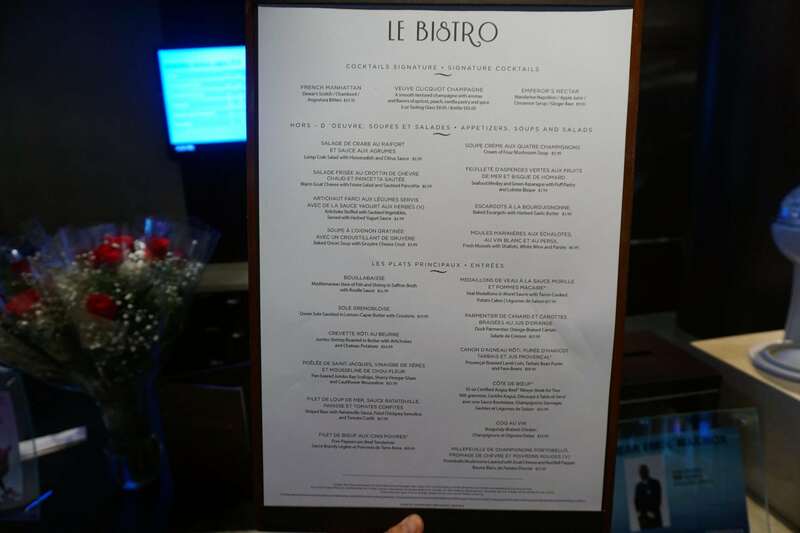 If you want to use your specialty dining plan here, there will be also be an up-charge of $7. 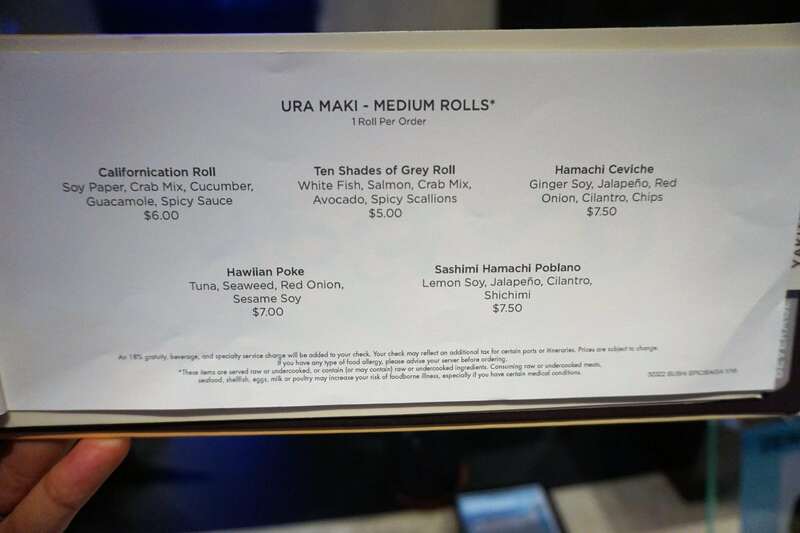 We are not fans of sushi, so we can not report back on the experience. 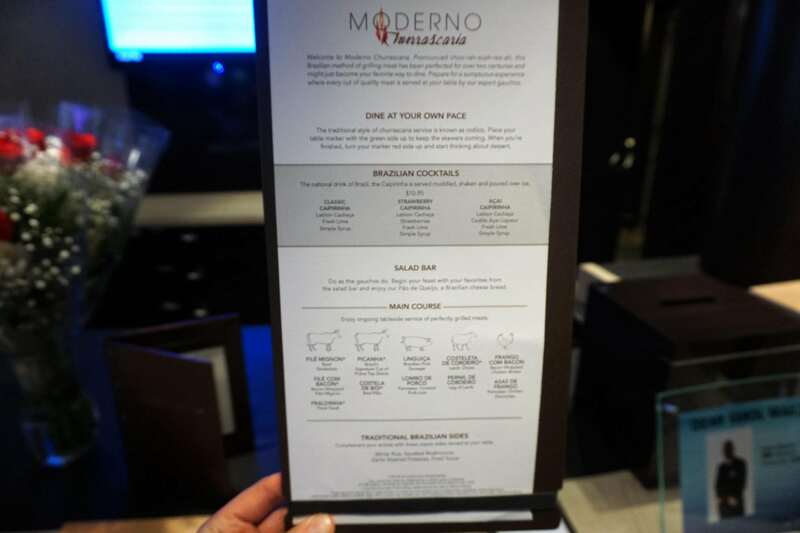 This signature steakhouse on most Norwegian Cruise Line ships is open for dinner every night of the cruise. 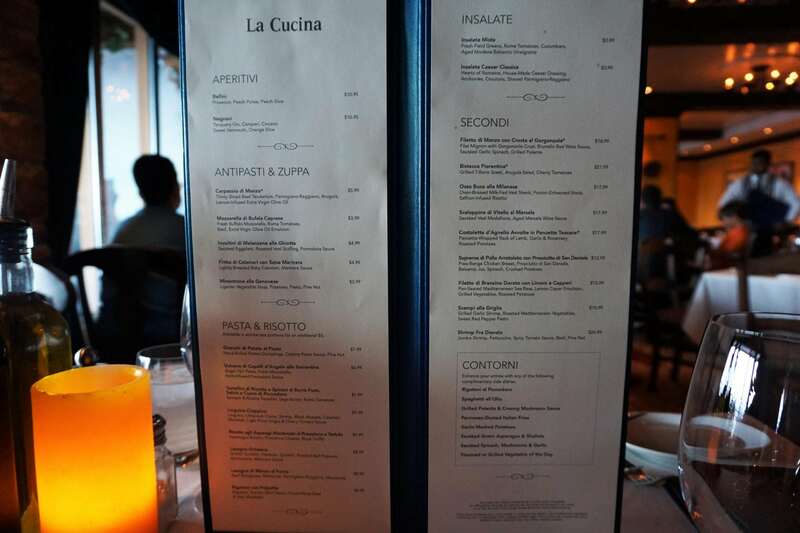 Reservations fill up fast at this popular venue, so we highly recommend making reservations before you board. Believe us, it is worth the extra planning to dive into these juicy cuts of meat- especially the tomahawk steak! This Brazilian style churrascaria is one of my personal favorites. 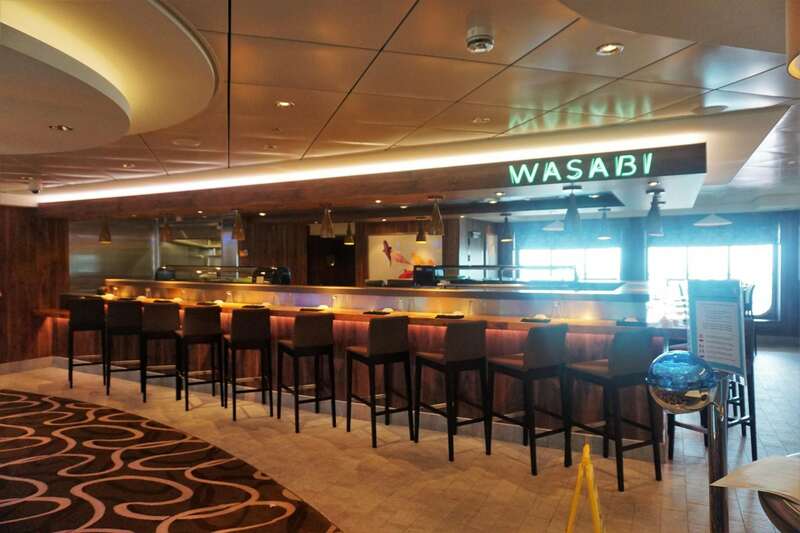 With a tapas and salad bar, not to mention endless amounts of 11 different offerings, you can dine on some of the most succulent beef, pork, and even chicken on the ship. 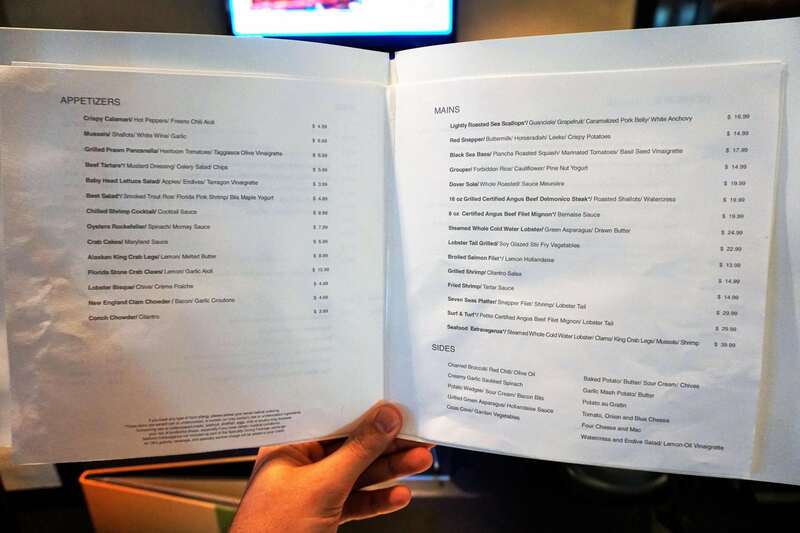 For a flat fee of $24.95, per person, you are also tempted with some solid sides and flavorful desserts. 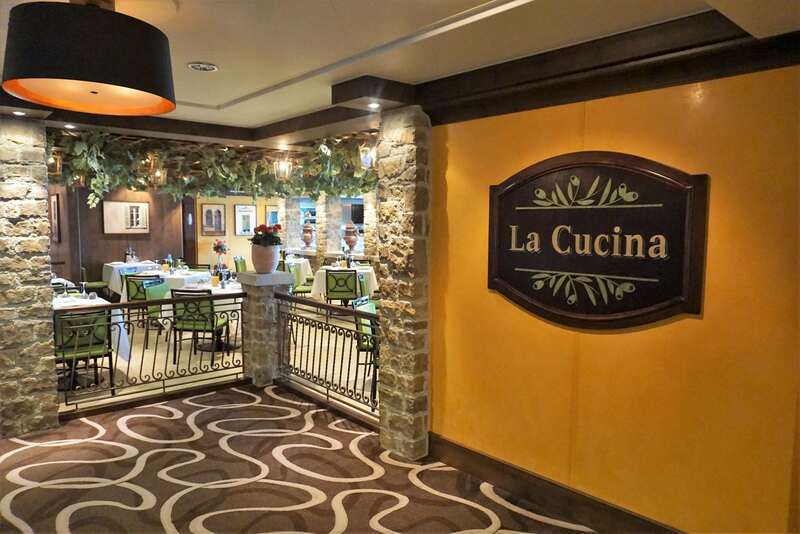 Located on Deck 8 on the Waterfront, Norwegian Cruise Line’s signature Italian restaurant offers traditional Italian-American style starters, pastas, entrees, and desserts. Another top pick, especially for the Princess, we have always been satisfied with our choices when dining at this venue. 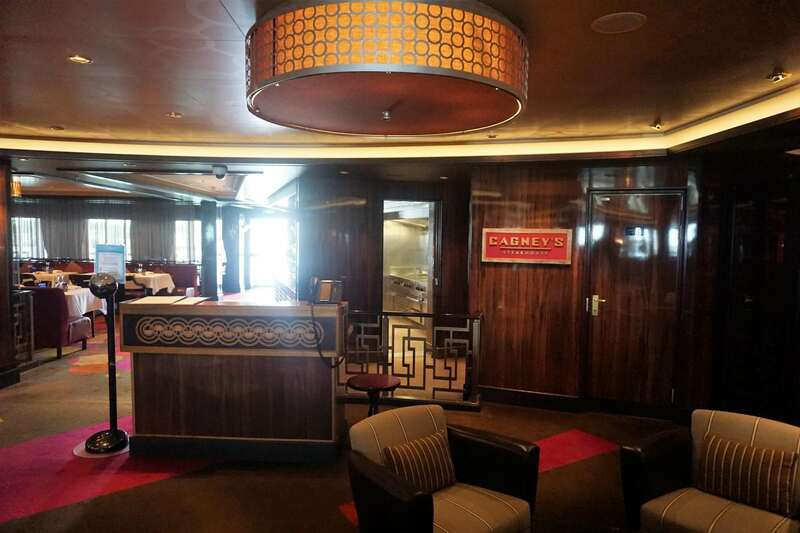 This French-inspired restaurant is located on Deck 6 in the center of 678 Ocean Place. 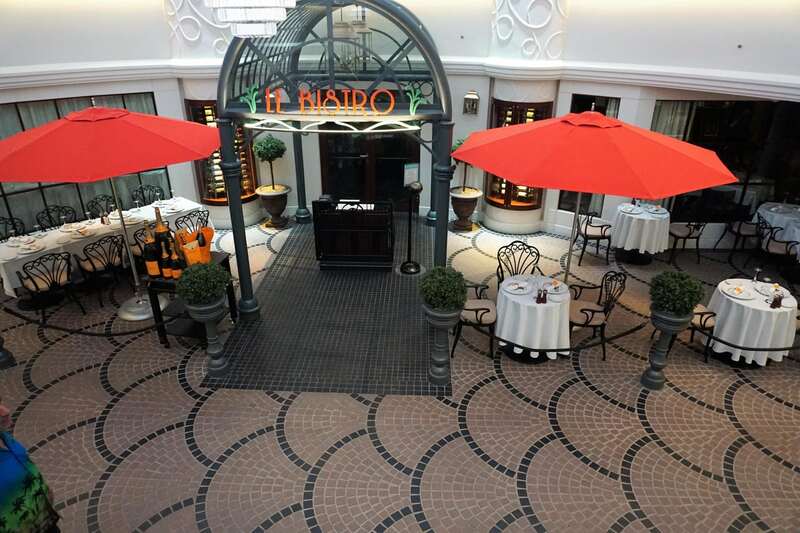 With upscale restaurant seating and cafe style seating in the promenade, you can dine on authentic French cuisine any evening of your cruise. 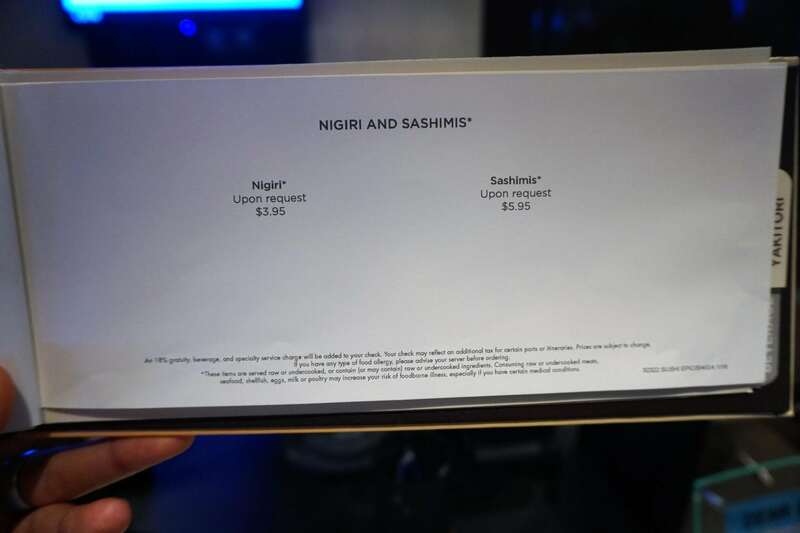 It is one of only two restaurants that has a dress code, requiring men to wear pants and a collared shirt. Again, tables do book up quickly, so we recommend making reservations ahead of time. 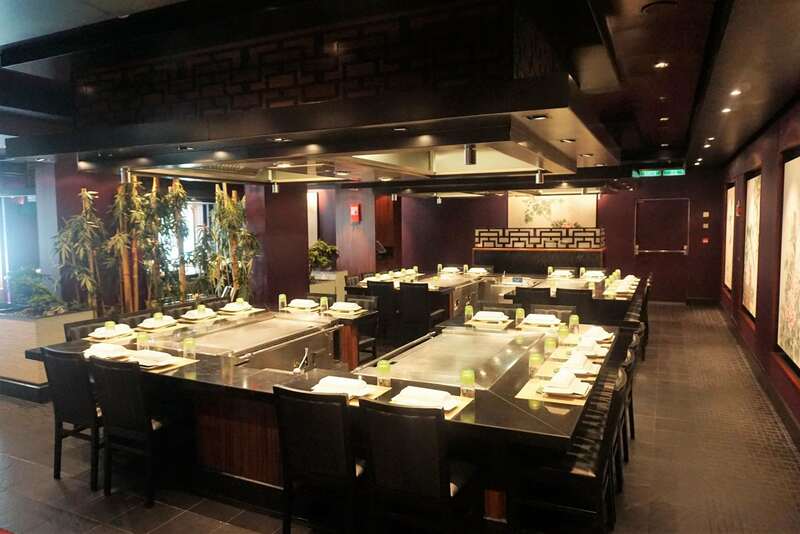 This Japanese-style hibachi restaurant is another one of our favorites. For one flat fee ($29.95), you get to dine on several courses and experience one entertaining cooking show. 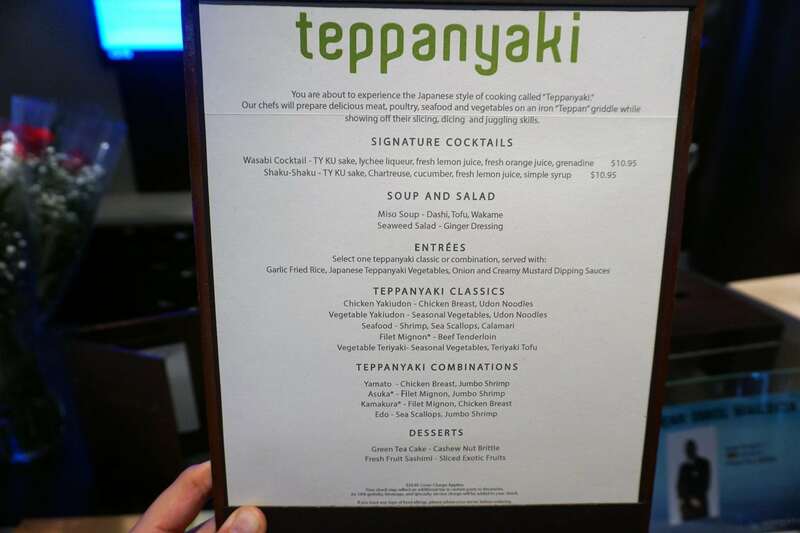 Everyone gets the same appetizer, soup, and salad, then you can choose your own entree from tempting selections that include steak, calamari, chicken, shrimp, and more, all served with fried rice and grilled vegetables. Be prepared for some unexpected surprises. 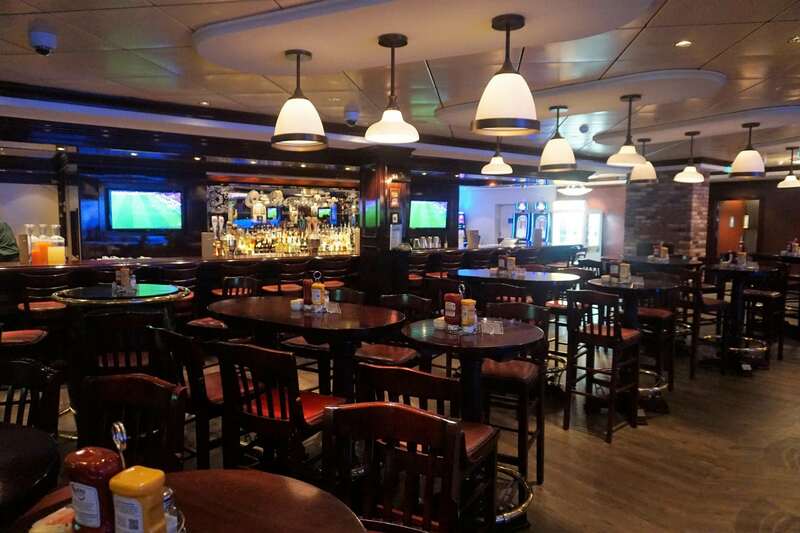 One of our favorite casual spots, this venue is open for lunch and late day snacks until 5pm. 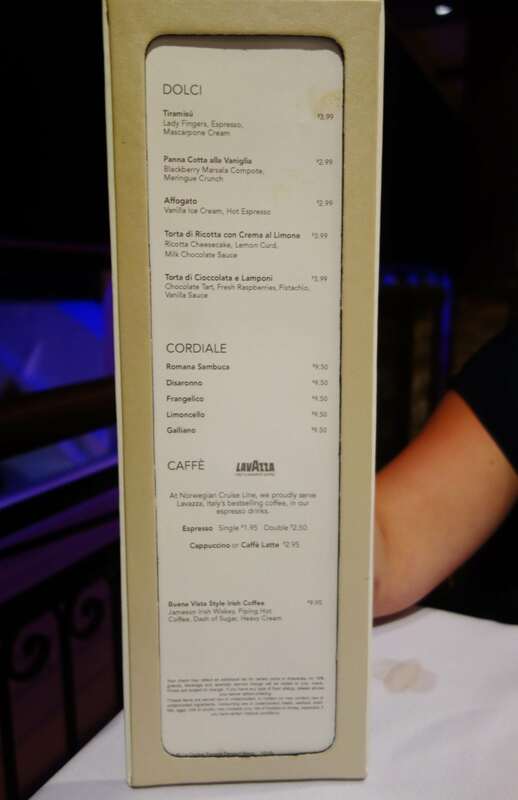 The prices are a la carte but very reasonable, so we don’t recommend using your dining package here. 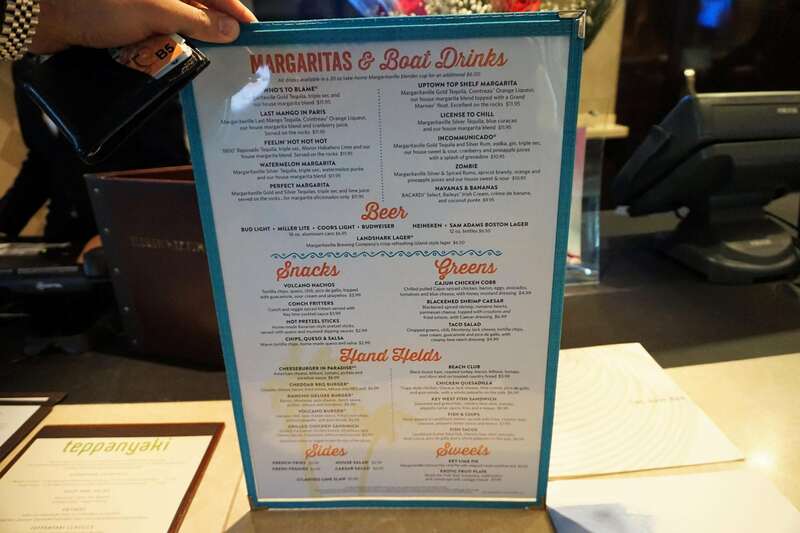 There are 10 signature margaritas available at the restaurant as well as the Chill Bar, and they are all covered in the Ultimate Beverage Package. 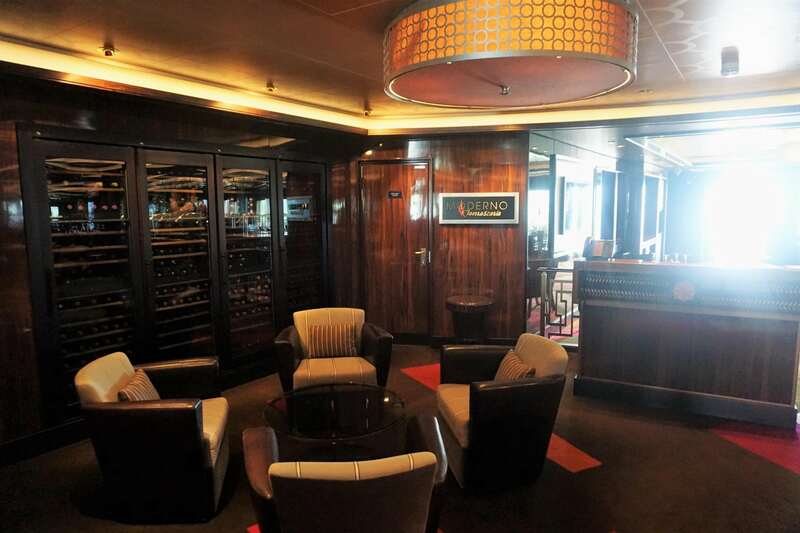 We frequented this venue several times during our cruise. You can’t go wrong with the Volcano Nachos or a Cheeseburger in Paradise. 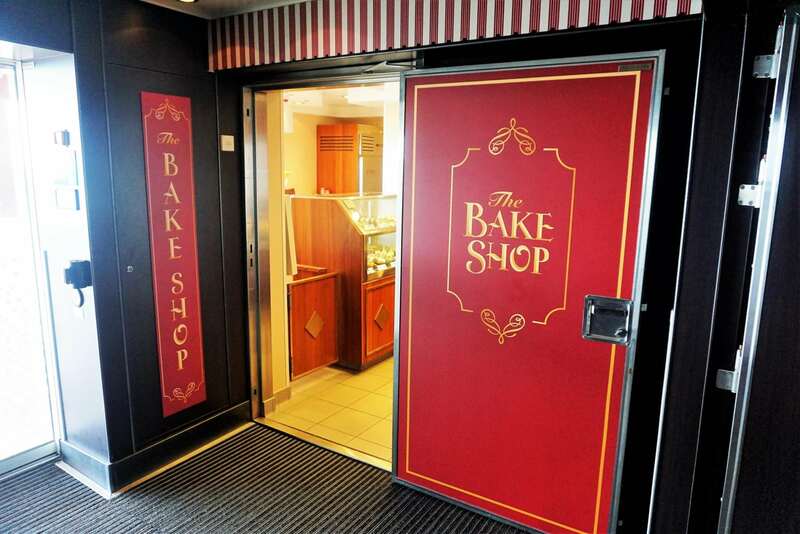 If you are looking for something sweet, you can grab a petite treat from the Bake Shop on the Waterfront or from the Atrium Cafe. 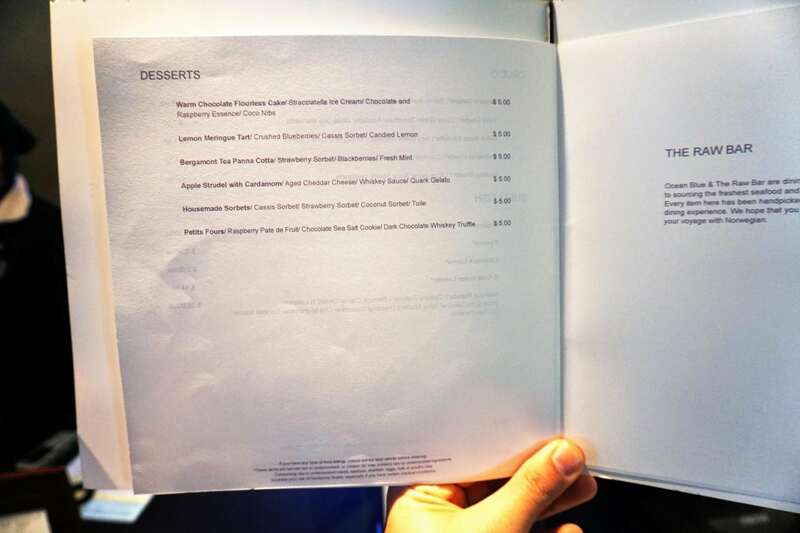 There are a la carte costs associated with these desserts. 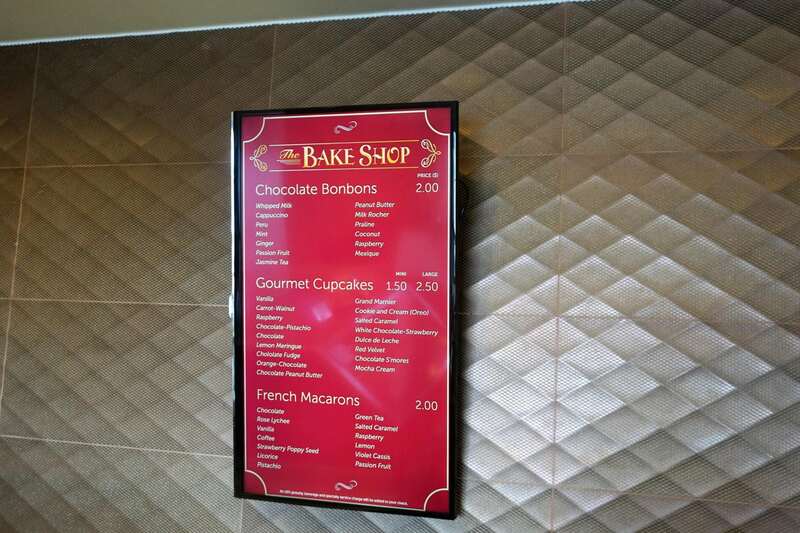 On the other side of the Bake Shop is the Gelateria. 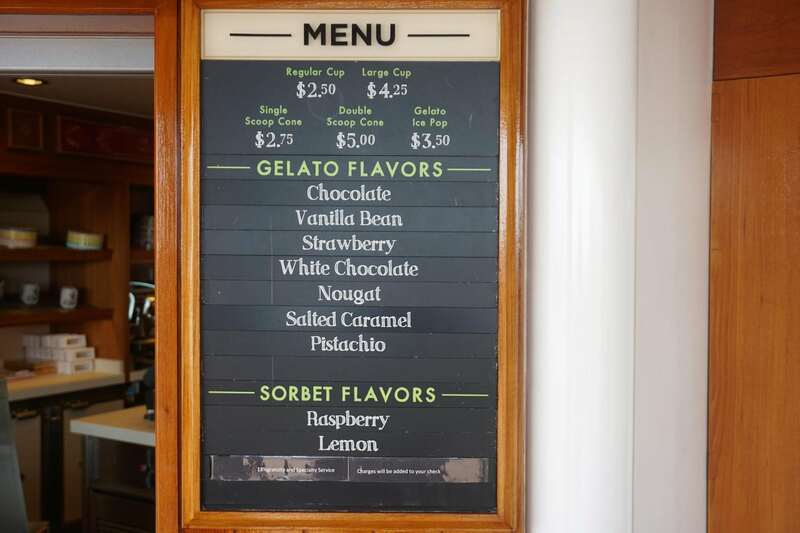 The gelato selections served here are also an additional cost. 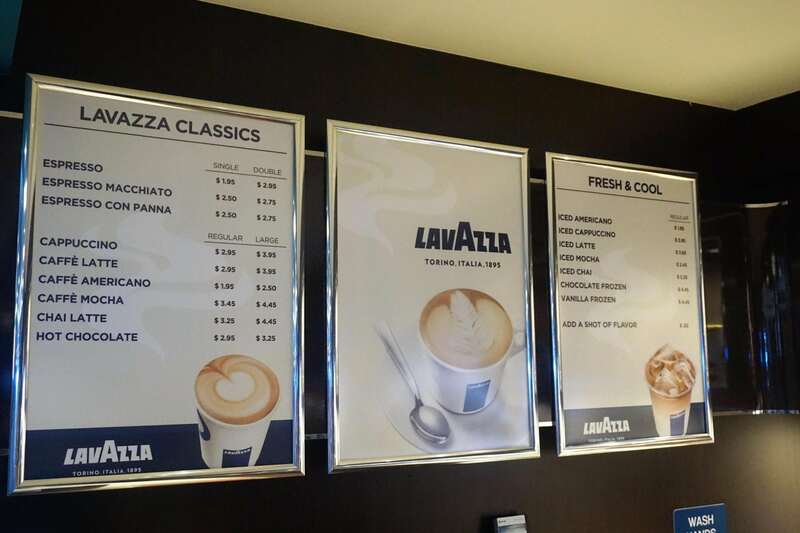 The Atrium Cafe also serves up lattes and other espresso-based coffee drinks. 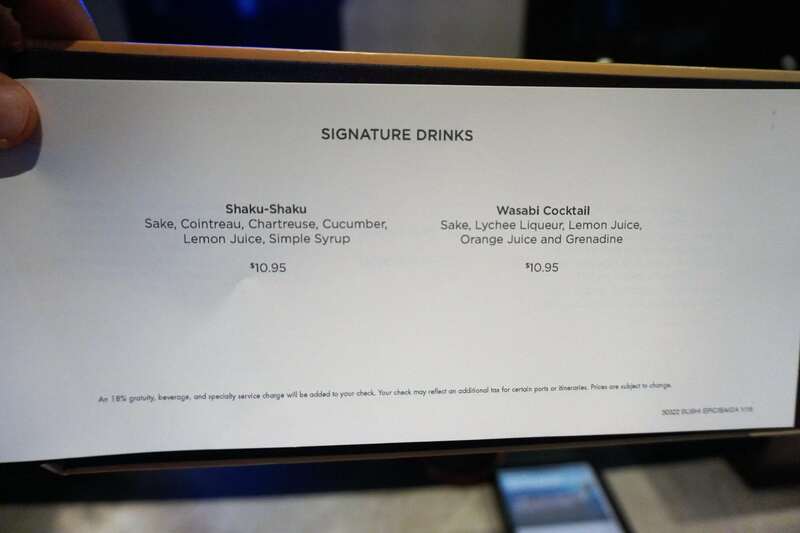 Unfortunately, these drinks are not covered in the Ultimate Beverage Package. 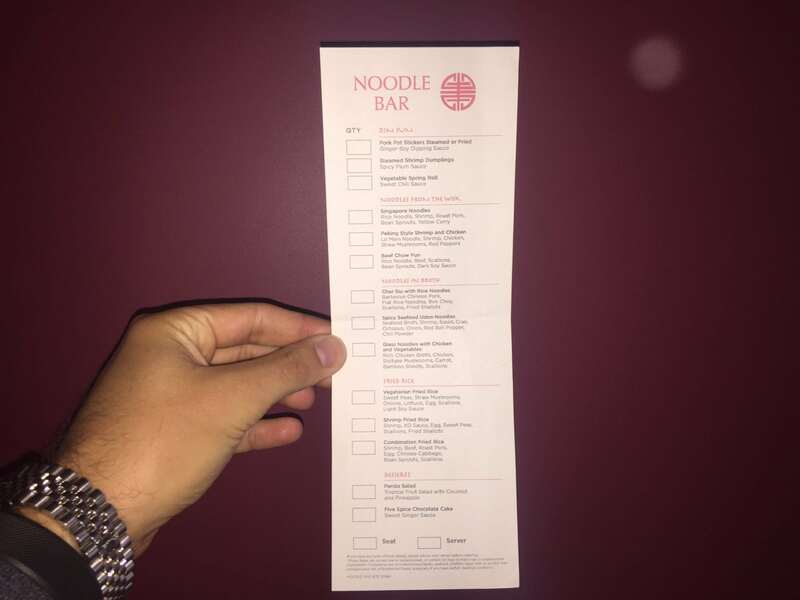 If you are like us, you can rack up quite a coffee tab! 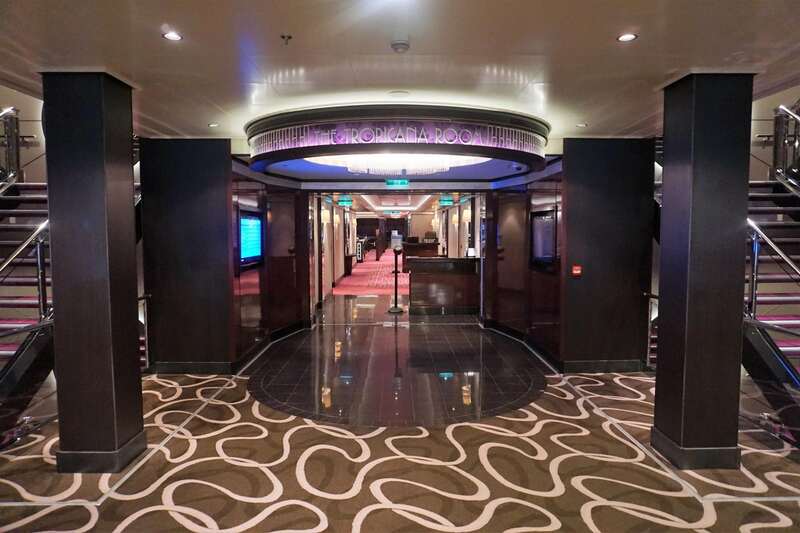 Have you sailed on Norwegian Getaway or another NCL ship? 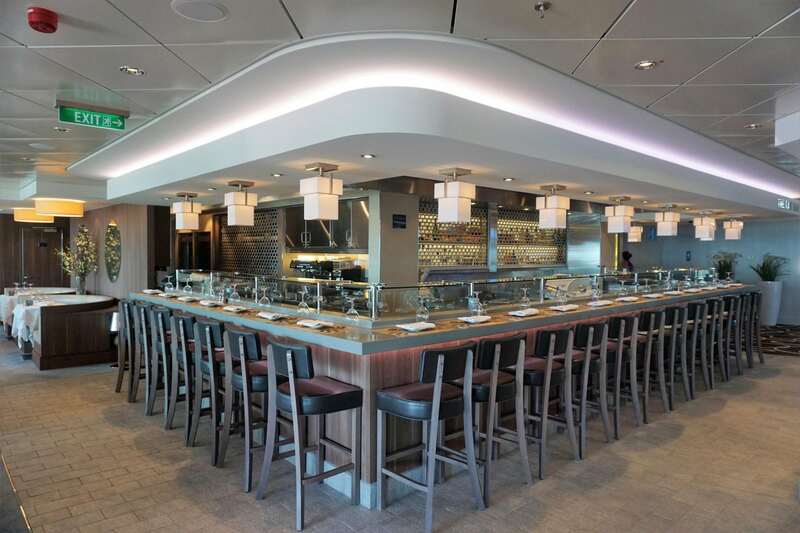 What is your favorite place to dine on Norwegian Getaway? 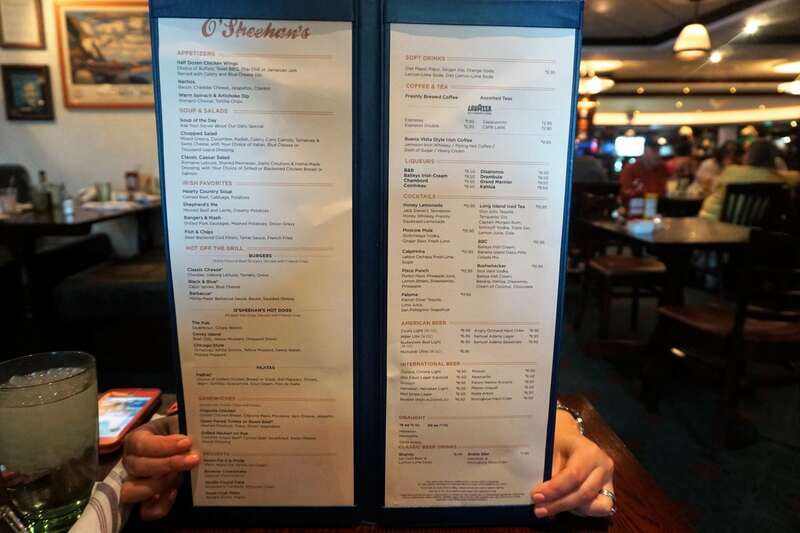 Drop us an anchor below to share your go to dining spot when cruising. 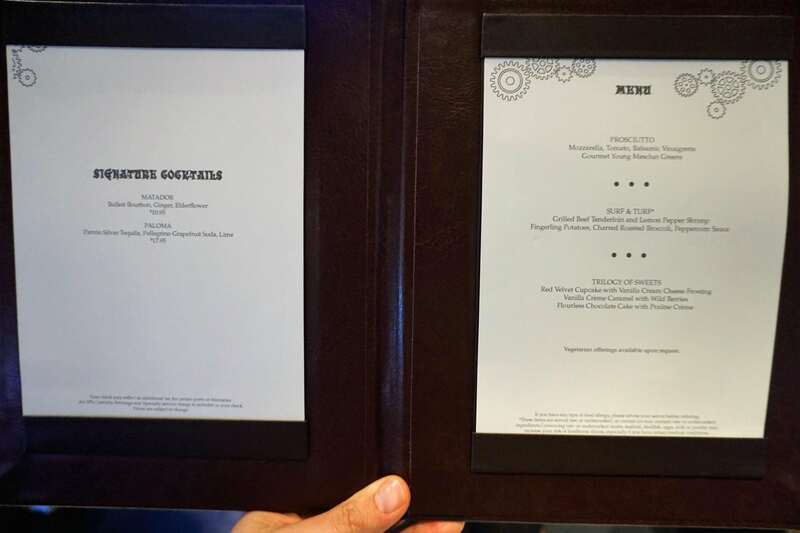 Thanks for posting the menus! My wife and I were on the Getaway exactly one year ago this week and my stomach enjoyed a trip down memory lane. 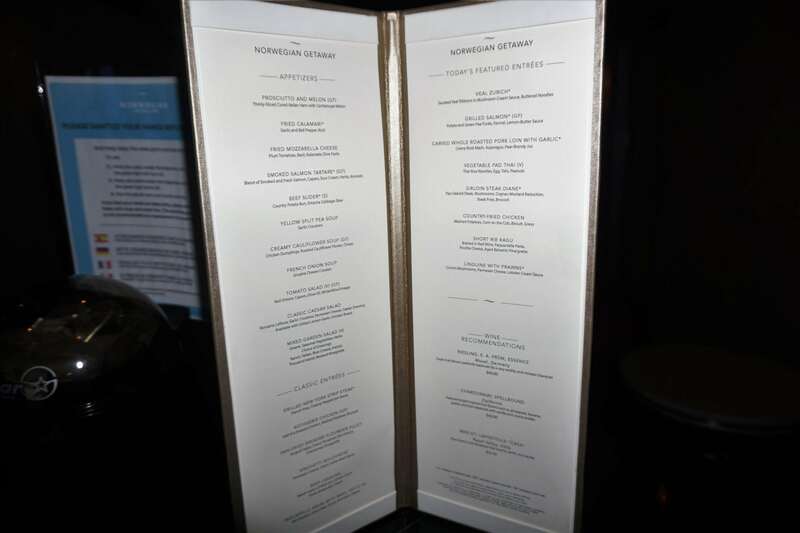 Question though, with the exception of Ocean Blue, did they eliminate lobster from their menus? 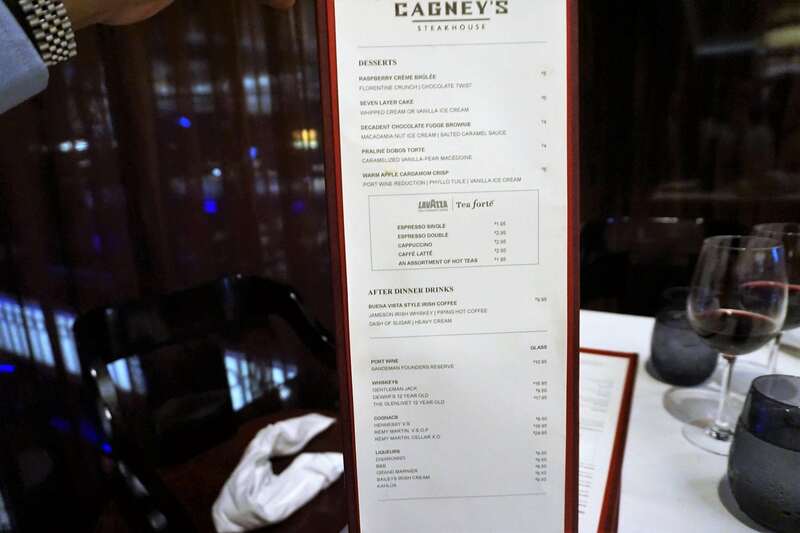 Last year lobster was available (for an up charge) at the main dining rooms and lobster tail was part of the surf and turf at Cagneys. 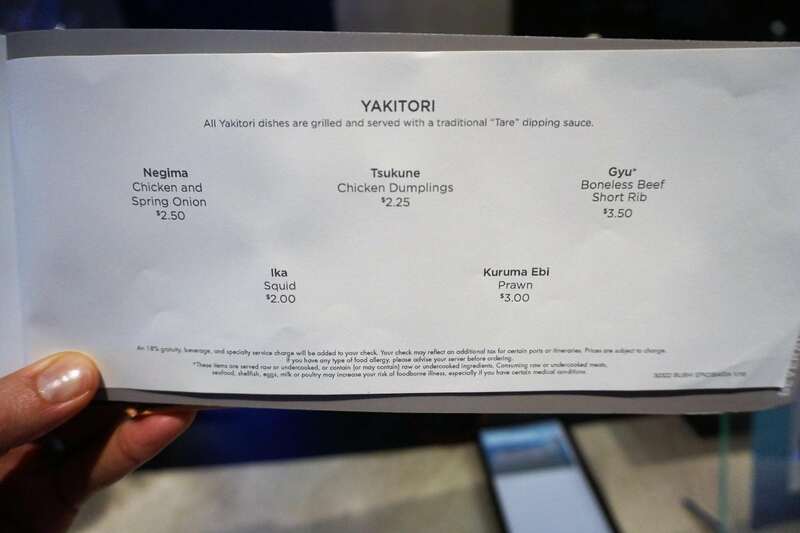 Now I see they have shrimp there instead. Wonder if they’re trying to save $$& that way.